During the past few decades, dentistry has made tremendous strides in helping its patients achieve optimum oral health. 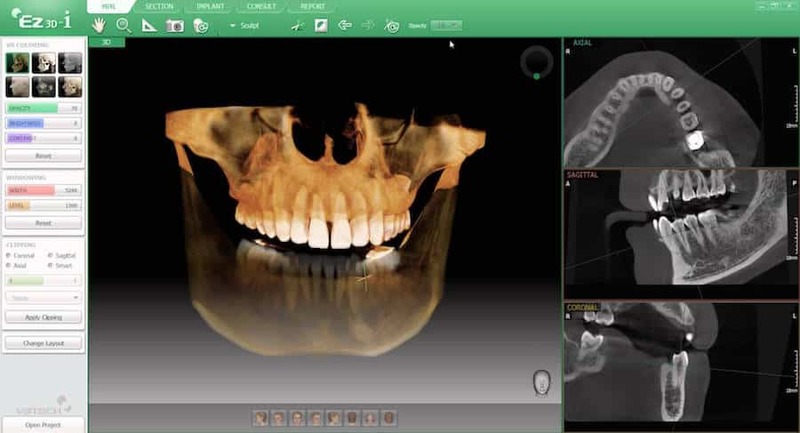 Break­throughs in computer technology, materials, methods, and techniques have changed virtually every aspect of the practice of dentistry. There have been certain developments in dental history that have totally revolutionized the treatment of oral disease. We can look back and see how dentists’ usual and accepted ways of doing or thinking changed completely because of these advancements. Some of these transformative technologies include the high speed handpiece, the advent of adhesive dentistry, Branemark’s research on implantology, and computerized digital applications, to name a few. It can be said that these developments are responsible for creating paradigm shifts in our profession and irrevocably altering its treatment modalities. There are many new breakthroughs on the horizon that will continue to advance the science of dentistry. Only time will tell which ones will achieve paradigm-shifting status. In their groundbreaking book, Beat The Heart Attack Gene, world renowned cardiovascular specialists Bradley Bale, MD, and Amy Doneen, DPN, ARNP, present their revolutionary, comprehensive plan to prevent heart attacks and strokes. Bale and Doneen have created a prevention program that uses cutting-edge genetic testing and the latest science to not only identify but also treat people who harbor undiagnosed and potentially life-threatening plaque in their arteries. Because of Bale and Doneen’s work and research dedicated to the prevention of heart attacks and strokes, dentistry must now become a partner with the medical community to help prevent these leading causes of death in our nation. This will change dentistry forever and create a public awareness and demand for preventive and periodontal dentistry. We must rise to this opportunity and develop well-researched protocols to meet the needs of our patients. D. Scott Trettenero, DDS has become an endorsed provider for the Bale/Doneen’s method for the prevention of heart attacks and strokes. Click Here for more information on the Bale/Doneen’s method for the prevention of heart attacks and strokes. With the research and proven clinical protocols of these trailblazing medical professionals, dentistry is now one of the cornerstones of treating arterial disease. Along with PD, it has been shown that abscessed teeth and failing endodontic treatments can also contribute to ASVD. No longer is there justification to watch an asymptomatic lesion at the apex of a root canal. We now have the opportunity to not only save people’s teeth but to actually help save their lives. Recent published studies suggest that up to 50% of all heart attacks may be triggered by an infection in the mouth. Bale and Doneen believe that any patient who has suffered a heart attack deserves an immediate referral to a dentist who will effectively evaluate them with a complete exam, including state-of-the -art DNA testing for specific oral bacteria that have been proven to be a part of the pathogenesis of ASVD. A cone-beam computed tomography scan is also instrumental in revealing asymptomatic infected teeth, especially those that have been treated endodontically. Parkell’s TurboVue® features a light source built into the handpiece, providing excellent visibility when scaling all areas of the oral cavity. The dental community has a substantial opportunity to impact the number one cause of morbidity and mortality (ie, cardiovascular disease) by formulating feasible solutions to effectively manage PD caused by high-risk pathogens. To develop these solutions, prospective randomized trials are needed. These studies must also address the cost of such management along with the side effects, long-term effectiveness, and benefits in terms of reducing cardiovascular events. In addition, periodontal protocols must include DNA testing before and after treatment to verify its effectiveness. Conventional periodontal examinations and treatment planning may need to be altered to accommodate the necessity of monitoring oral pathogens that have been shown to work their way into the arteries and directly cause ASVD. A must read for all dental professionals who are interested in being a part of this next paradigm shift is Bale and Doneen’s book, Beat The Heart Attack Gene, as well as their article in The Postgraduate Medical Journal (insidedentistry.net/go/id1173), which explains the causal nature of oral pathogens in ASVD. They also teach healthcare providers in their American Academy of Family Medicine-accredited preceptorship program that is an intensive two-day course. Now CE accredited for dentistry as well, the course offers the latest information in a more formal learning environment. The “Bale-Doneen Method” provides a unique, comprehensive, and science-based approach to detecting, preventing, and treating cardiovascular disease that has been shown in two peer-reviewed studies to halt or reverse its progress and prevent heart attacks and strokes. In the article, Bale and Doneen correctly assign causal status for ASVD to certain types of PD; this will soon become an accepted concept in medicine. This causal status will require action on the part of physicians treating ASVD patients with PD, and they will naturally look to the dental profession for solutions. Because ASVD is the number one killer of Americans, the implications for dentistry are self-evident and represent an undeniable and near-term paradigm shift for our profession. Scott Trettenero, DDS, maintains a private practice in Fort Myers, Florida. He is nationally recognized by his peers for his research in the field of patient satisfaction, including the development of a patient satisfaction survey system. Arthur Molzan, DDS, maintains a private practice in Cape Coral, Florida. He is a past president of AAID and a diplomate of the American Board of Oral Implantology/Implant Dentistry. Thomas Roberts, DDS, PA, maintains a private practice in West Palm Beach, Florida. He has published seven original research papers in the peer-reviewed literature and has presented his findings before the American Association for Dental Research.